Planning a trip to Iceland? If so you’re one step closer to making the smartest decision of your life. I’ll start off by saying I never thought of going to Iceland. In fact I only planned the trip because the flight was super cheap, but I completely fell in love with this incredible country from the moment I picked up my first travel guide. To the surprise of many Iceland has a lot to offer. I only had three and a half days so I had to fit in as much as I possibly could. As soon as I landed I hit the ground running with my jam packed schedule. I dropped my stuff off at the hostel and on little to no sleep I was off on my first adventure. 1. 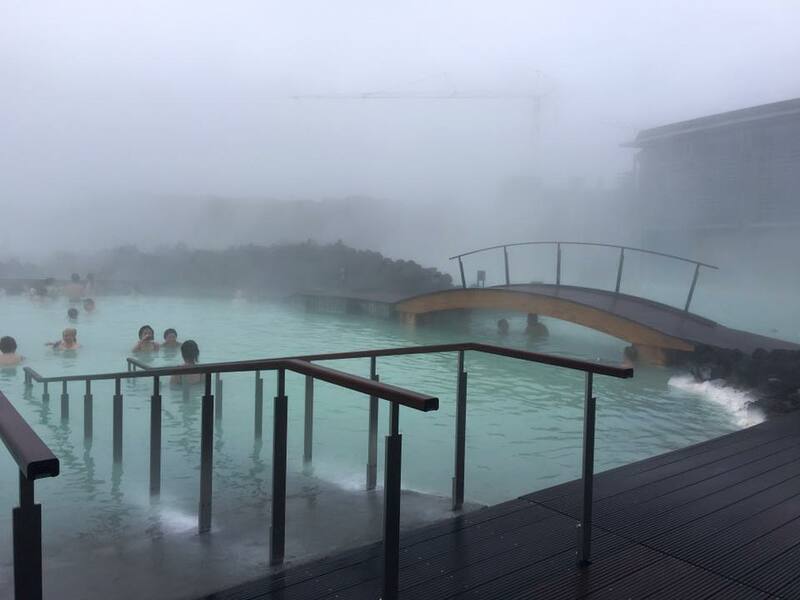 Blue lagoon – You really only need 2 to 3 hours here making it the perfect stop on your way in or out of Iceland, and a good way to get rid of jetlag. They even have buses that run directly to and from the Blue Lagoon to Keflavik airport, so you really have no reason to not visit. If I can make a suggestion, go with the comfort package. I maybe paid an extra 10 or 15 USD, but the use of a towel, algae mask and one drink of choice was worth it! 2. 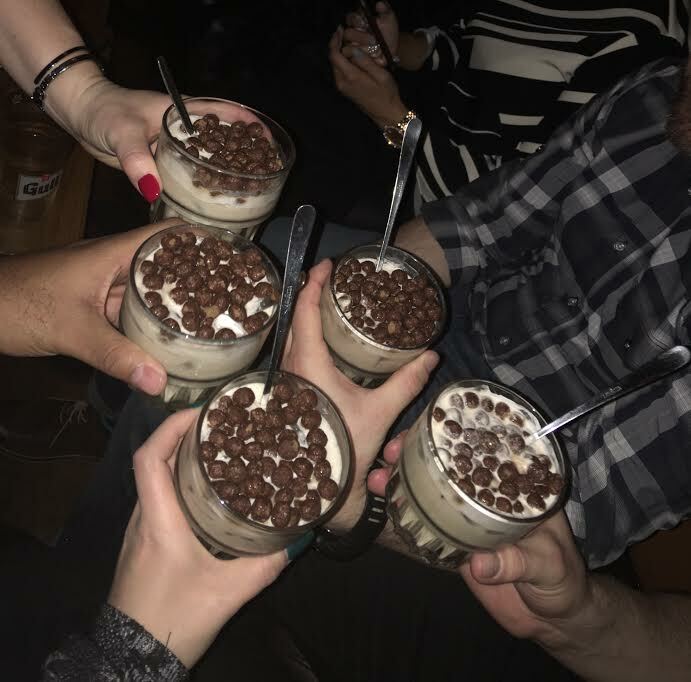 Bar Crawl – Perfect first night out. The guide Egill was awesome and always making sure we were having a good time. It was the perfect way to meet other travelers and experience the Icelandic nightlife. Aside from the wonderful drinks we also got to try some food, including a hot dog from the famous bæjarins beztu pylsur which translates to the “best hot dogs in town” and hákarl (shark meat that is put into the ground and fermented so it can be consumed). Make sure to have a beer near by to wash it down with. Oh and I would refrain from smelling it before, if you’re brave enough to try it. 4. Hallgrímskirkja Cathedral – No idea how to say it’s name but this cathedral is beautiful inside and out. For about 7 USD you can take an elevator up to the top and look down on the colorful rooftops of Reykjavik. It is known to have one of the best views of city, which you can see was very true! 5. 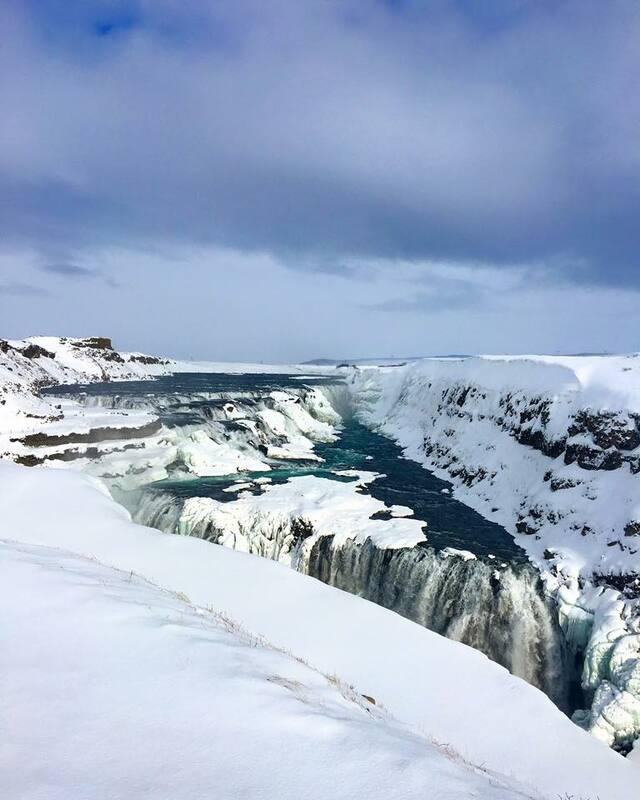 Gullfoss Waterfall – Gullfoss is considered to be one of the worlds most beautiful waterfalls. “Gollfoss” which literally translates to “golden falls” gets its name due to the glacial sediment in the water which gives it a golden hue in the sunlight. It was absolutely incredible. 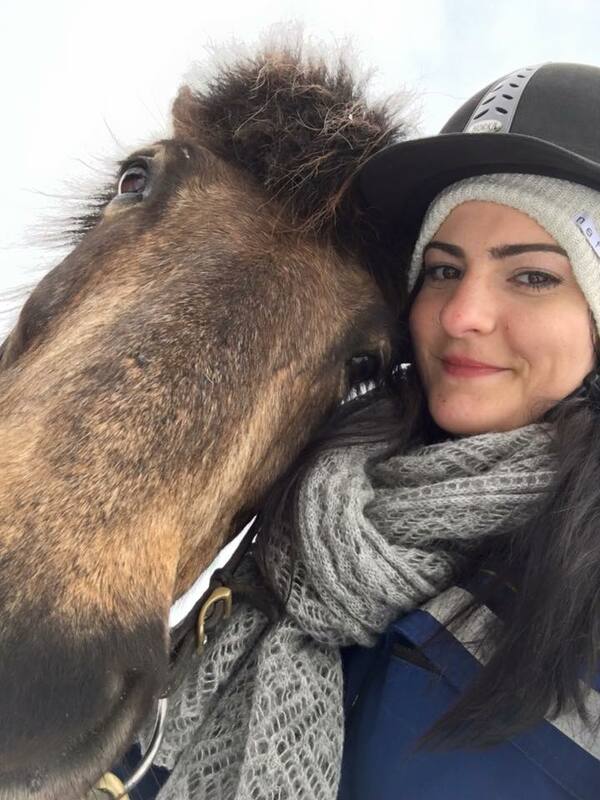 Take my suggestion and do not leave Iceland without a visit here, you won’t be disappointed. I promise. The Northern Lights would probably be in my top 5, if I was lucky enough to see them! Unfortunately my tour was canceled due to weather.. If I can give you some more advice, no matter HOW tired you are if they announce tours are happening and it’s suppose to be a good night to see them, just go. I made that mistake, and definitely learned from it. P.S. They say the best time to see them is between September and April. I stayed at Loft hostel. Clean, great atmosphere, and perfect location. The staff was very friendly and extremely helpful. Definitely recommend them!